It is not a secret to anyone that coming up with a suitable anti-malware tool is a serious task. The thing is how to choose the best one as there may be many advertised utilities. Well, to begin with, you need to monitor the trends. 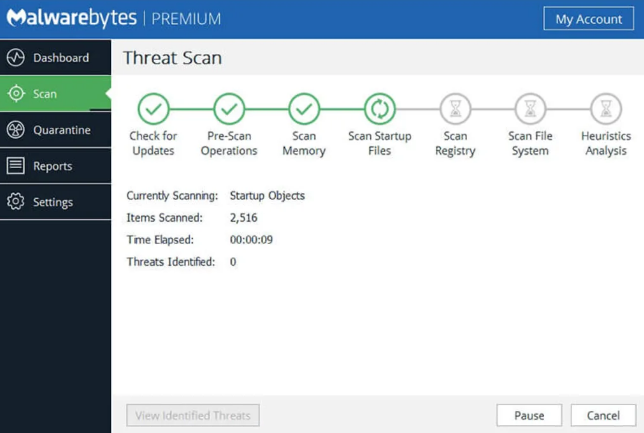 The recent trends show that two anti-malware programs top the list together – Zemana Antimalware and Malwarebytes Antimalware. That is why we take the responsibility to compare the two so that you can choose the best suitable for yourself. Let us begin, shall we? To begin with, Zemana is designed to clean malware and potentially unwanted programs from your computer as well as Android device. The fact is that the utility offers its users real-time protection. There are two versions available – a free one and a premium one. You can use the program for 30 days to see how it works and then purchase it, or you can purchase it, and in case it does not suit your needs, you can apply for a refund. To begin with, it needs to be mentioned that the interface the utility comes with is simple and user-friendly. This means that users with all levels of experience can easily interact with the utility. It needs to be emphasized that the program does not come with a quick scan feature. The developers explain it by saying that a quick scan can’t possibly detect most of the threats. When it comes to a full scan, it should be pointed out that it may take a while to be finished. After the full scan is over you will be presented with a list of detected threats. After that, you can choose what to do – delete, quarantine or exclude. If you want to read through a complete zemana antimalware review, all you need to do is to follow the link. To begin with, it needs to be mentioned that Malwarebytes AntiMalware is a software solution that offers multi-device protection. What is more, it is also compatible with Windows, Mac, and Android operating systems. The tool comes in two versions as well – paid and free one. However, the paid version is more useful for cleaning and protection the device, while free one is just a scanner. File recovery after the attack. It needs to be pointed out that one license is available for one device; all the other devices can be protected for an additional price. The truth is that the utility comes with an intuitive and user-friendly interface as well. If you do not have previous experience with similar apps, you will be able to master it anyway. The program comes with an impressive malware database so that it can quickly identify cyber threats. The app comes with a quick system scan option, unlike Zemana. However, it is advised not to rely on it too much. There is also a downside, which you should consider before opting for this antimalware utility. The fact is that there are possible pop-ups that may be annoying. To sum everything up, it is safe to say that the tools are quite similar, but still, they include some differences that may be crucial to some of you. Judging by what type of protection you need and by how much you are willing to spend on it, choose the best one for you.